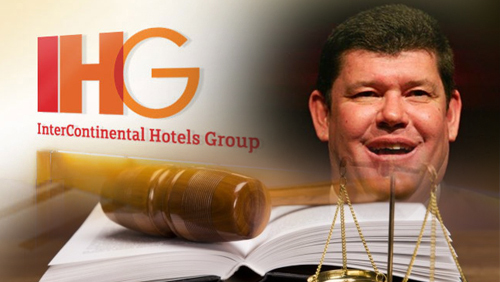 The InterContinental Hotels Group has taken legal action against James Packer‘s casino group for using the name Crown Resorts. According to the hotel group, Packer’s Crown Resorts is named similarly to Crowne Plaza Hotels & Resorts, which it counts as one of its hotel brands. InterContinental wants Packer’s casino company to change its name in order to avoid confusion among customers of Crowne Plaza. 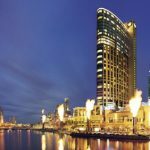 The UK-based hotel group is also throwing legal shade on Crown Resorts’ properties, including Crown Sydney, Crown Perth, Crown Hotels, Crown Spa, and Crown Poker. “The Crowne Plaza brand, along with all of IHG’s brands, is very important to us and therefore we take the steps we believe are necessary to protect those brands and avoid any potential customer confusion,” InterContinental Vice President Carolyn Dinberg Dinberg told the Courier Mail. Packer and Crown Resorts are prepared to fight, vowing to “vigorously defend” the lawsuit filed with IP Australia. “Crown’s brand and trademarks are vital to its business and Crown will vigorously defend any oppositions to its trademarks,” said Crown spokeswoman Natasha Stipanov. Crown changed its name from Crown Limited to Crown Resorts in the latter part of 2013 as part of a marketing campaign to become known as a luxury hotel operator. Packer is no stranger to trademark battles. Crown Resorts has launched legal action against Sydney-based property developer Crown Group Holdings for allegedly creating confusion that the developer’s properties are linked to Packer’s brand.